I expect that the year-end totals will be substantially different, since it'll take into account the summer touring season, which the above list does not. Still, it's pretty interesting that the same names keep popping up year and year. 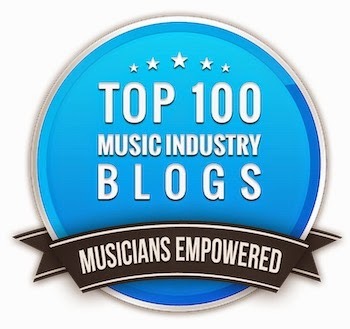 According to a post on Hypebot, a nationwide class-action lawsuit has been filed against Guitar Center and the National Association of Music Merchants (NAMM) claiming the two conspired to fix retail pricing on guitars, allowing the music retail giant and other major retailers to reap higher profits and squash competition at the expense of consumers. The suit filed earlier this week by the firm of Hagens Berman Sobol Shapiro claims that retailers met at NAMM in 2001 and voiced concerns that gross margins would erode from the then-current 27 to 32%. According to the suit, the NAMM meetings played an instrumental role in creating agreements between Guitar Center, other leading retailers and product manufacturers to impose 'resale price maintenance' agreements designed to raise and maintain retail prices and according to the complaint, the cabal's actions were successful with 2008 margins holding steady at 30%". Although Guitar Center is truly the 800 pound gorilla of the musical instrument business and would probably love to fix prices where ever possible, I find it hard to believe that this actually happened. It's true that they fixed prices in their stores and longer have the wild "sell at any cost" policy of old, but there's no love lost between GC and it's competitors and suppliers, so any type of collusion seems remote. Still, all the facts haven't come out yet, so it will be interesting to discover more info as it becomes available. I'm currently in the studio producing the band Snew. Here's a picture on the left of the nice old Neve found in Village Recorders studio A where we're holed up with the great Ed Cherney engineering. Everything has sounded great right from the start on the this project, but there are times when you're recording when that's not the case at all. It's not uncommon to find that a part doesn't fit well in a track, or fits too well where it can't be distinguished. Here's a list of things to try in order of importance the next time you run in to either situation. When you’re making records, you get to listen to everything under a microscope, and after a while you begin to understand that there are a few universal truths about making your band sound tight and professional. Here’s a brief summary of perhaps the 3 most important steps to improving your band’s performance and taking it to the next level. I promise you that if you spend even a little time on each of these items, you’ll see positive results immediately. 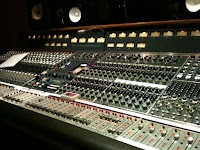 Dynamics - Playing with dynamics is the greatest key to making your band sound great. It’s an improvement that both you (the band) and your audience will notice immediately, and will automatically separate you from about 90% of other bands on the planet. There are a few byproducts from playing dynamically too. The vocals can be heard better because there’s more space and fewer loud instruments to fight against (easier on the singer as well). Songs become more fun to play because there’s true interaction with the other players to make it work, and as a result, the band automatically gets tighter. And the audience perceives dynamics in a way that you wouldn’t expect - suddenly they’ll start telling you how tight you sound. Attack and Releases ( or articulations) are one of the most overlooked, yet most important elements in playing together. Attacks and releases usually refer to a phrase that you’re either playing or singing. The attack part is usually easy - everyone starts to play or sing at exactly the same time in the same way. The releases are what’s overlooked. A release is how you end a phrase and it’s as important as how you start it. Once again, everyone has to end it at exactly the same time in exactly the same way. Getting your attacks and releases are one of the essential parts of making a good record (you hardly ever hear one off anymore) and they’re essential to making you sound tight as well. Listen to a song that everyone knows, Hotel California, for a great example of both attacks and releases (and phrasing) of both the guitars and vocals. Turnarounds - Another often overlooked portion of a song that needs to be tight is the turnaround between sections, like the one or two bars between the verse and chorus, chorus and verse, verse and outro, chorus and bridge, etc. This part requires a lot of focus because it’s usually played a little differently from the rest of the section of the song. For the drummer, it’s usually a tom or snare roll into the next section, but unless it’s a build, most of the other players usually just randomly play something over the roll. If you’re playing a song that you’ve written, chances are that you’ve not thought about the turnaround too much, so now is the time. Make sure that every player has an exact part to play and that all parts work together and sound tight (a good idea for the rest of the song as well). The above post is some of what you'll find in my band improvement book, How To Make Your Band Sound Great. I posted this a while back in the DIY section of Bruce Houghton's excellent music blog Hypebot, but I thought that it was worth posting again here since the advice really makes a difference in how a band sounds. 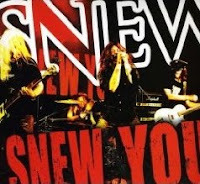 I'm currently in preproduction for a new album with the band Snew. If you've not heard them yet, they're a hard rock band reminiscent of AC/DC or Iron Maiden with some really great songs. I produced their first record last year and it met with a great deal of acclaim and success, so it's important that this one meets the high expectations of their many fans around the world, and that's why preproduction is really important. The starts and stops in the song are all played together. Everyone has to know the dynamics of the song. The turnaround between each song section must be defined. Attacks and releases for each part must be executed together. The sounds of each instrument must be layered so nothing clashes frequency-wise. The tempo must be right for the song. The band must be in tune (especially the bass, which is sometimes just tuned by ear). These are all the things that you should be concentrating on during preproduction rehearsals in order to make sure that your recording session not only runs smoothly and efficiently, but sounds great as well.